1. Make sure the backpack is of good quality, the main thing you’re looking for is that it’s waterproof. A waterproof backpack will not only keep your child’s belongings safe, but it also prevents the backpack from retaining water and therefore becoming heavier. 2. Make sure the backpack is lightweight, once filled with all your child’s supplies it should weigh less than 15% of your child’s body weight. For example if your child is 75 pounds, you’d want to ensure the backpack weighs no more than 11.25 lbs. 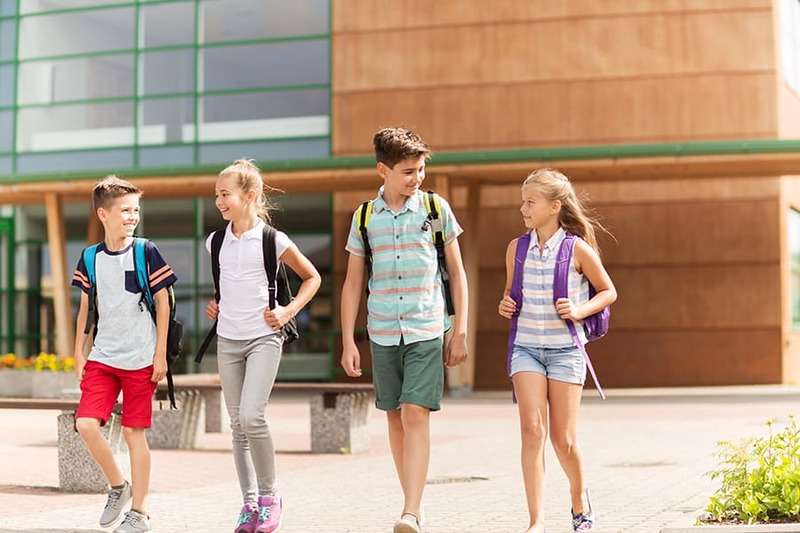 Chiropractors see a high rate of children with back pain at a young age due to backpacks that are too heavy and are not proportionate to their body size. 3. A lot of children will simply throw their backpack on over one shoulder. This can be very damaging long-term and lead to misalignment in the spine if they make a habit of it. Be sure to explain the importance of wearing the backpack evenly on both shoulders to prevent back and shoulder pain. Another important topic to discuss with your child this back to school season is classroom posture. 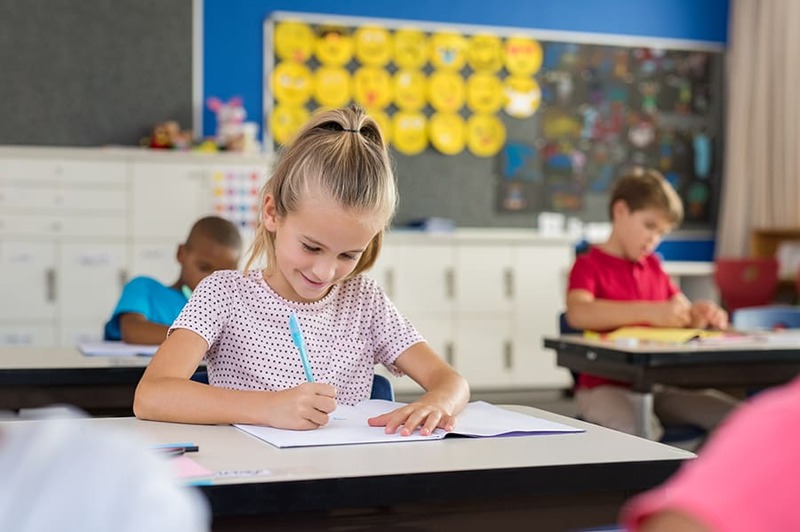 Sitting at a desk all day, slouching, looking down at their schoolwork, is naturally not the ideal position for children’s posture. Therefore you should make sure your child is mindful of how they sit in class. They should sit with their shoulders back, so that their feet are flat on the floor and their back is against the chair. Any books or screens should be kept at eye level ideally. Finally our last back to school recommendation has to do with physical fitness. After a summer off from gym class, extracurricular activities, and sports; you should remind your children of the importance of taking the extra time to stretch before and after any physical activity in order to prevent muscle strain and injuries. We also highly recommend a sports physical, which we offer, if your child will be participating in any kind of physical activity this school year.